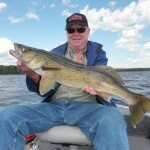 The Walleye bite this week was as good as it gets. 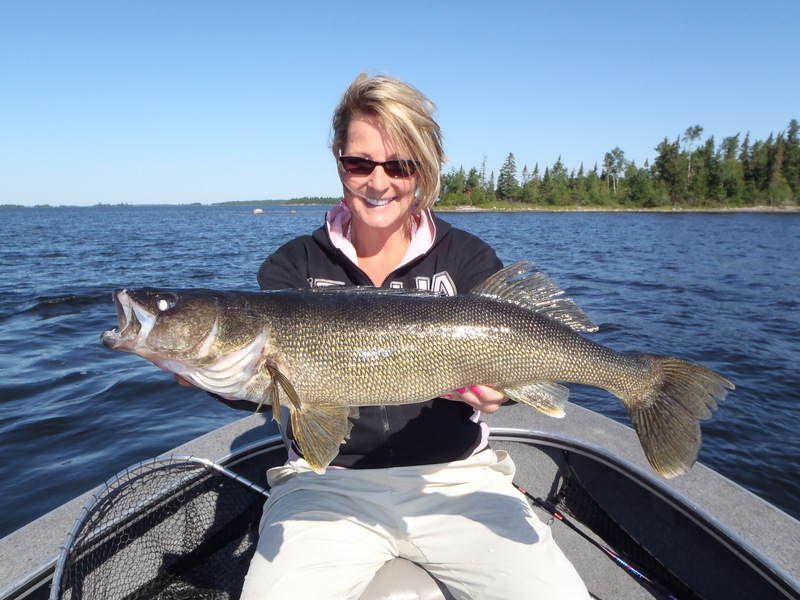 We caught and released 57 walleyes over 27 in., including 10 – 28s, and 3 – 29s. 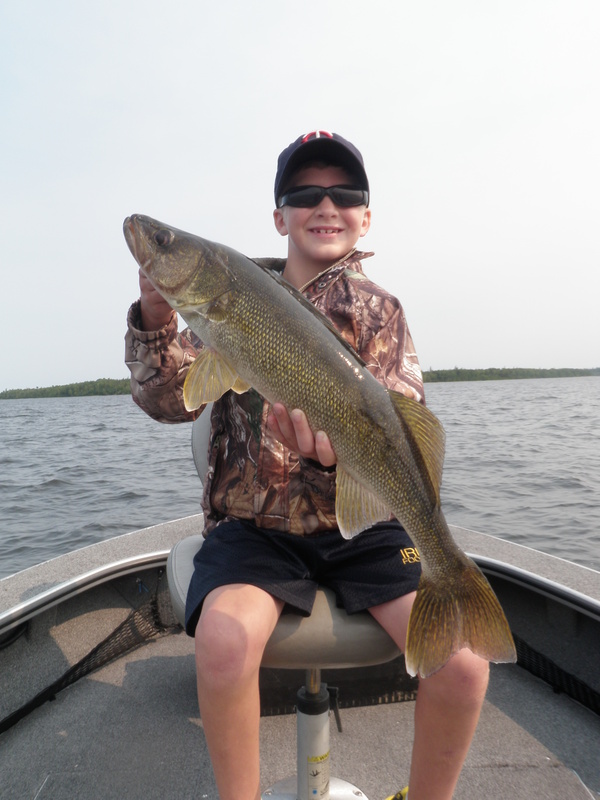 Volume was very high with guide reports averaging more than 40 walleyes over 18 in. per day. To give you an idea of the quality of the bite, I took the time to count the number of individual 26 in. 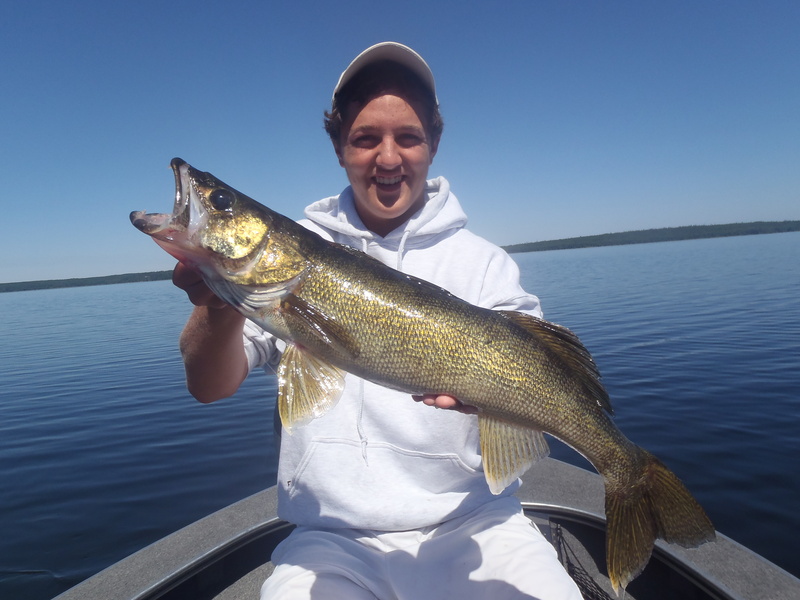 walleyes caught this past week and the total was 90. And there were even more 23s, 24s, and 25s. 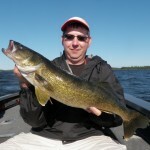 Everyone caught big walleyes this week and once again it was directly related to weather. We began the week with consistent days of warm weather and bright sunshine. 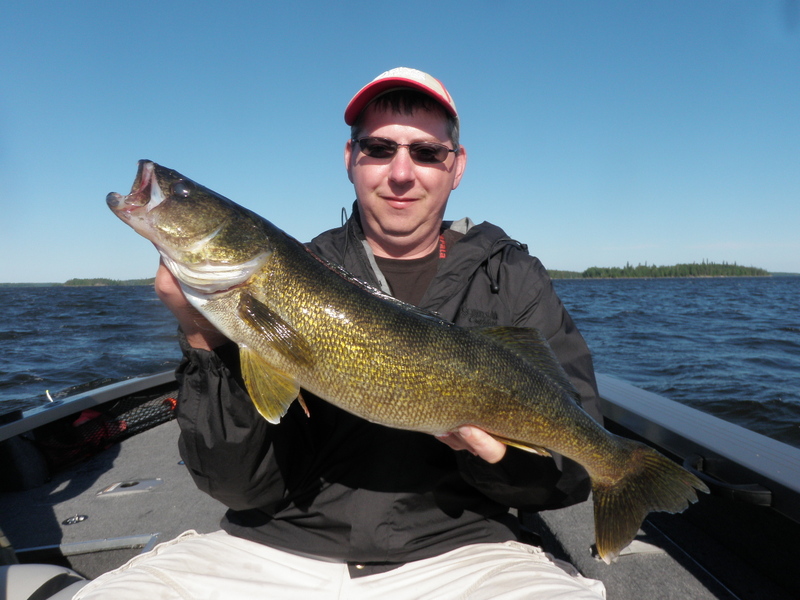 The increasing water temps sent the walleyes shallower and steady winds improved an already good bite. The morning bite was definitely better than the afternoon bite, especially when winds were light. 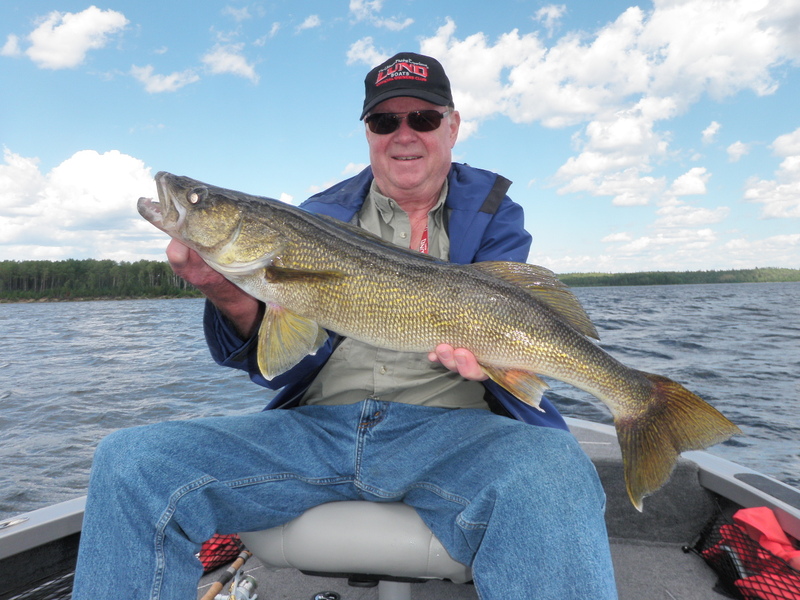 Big jigs with Gulp Alive plastics trolled at speed (.8 – 1.2 mph) were a key tool to find pods of walleyes, and they also helped select for some of the bigger fish. I would guess that more than half of the fish over 27 were caught on plastic this week. 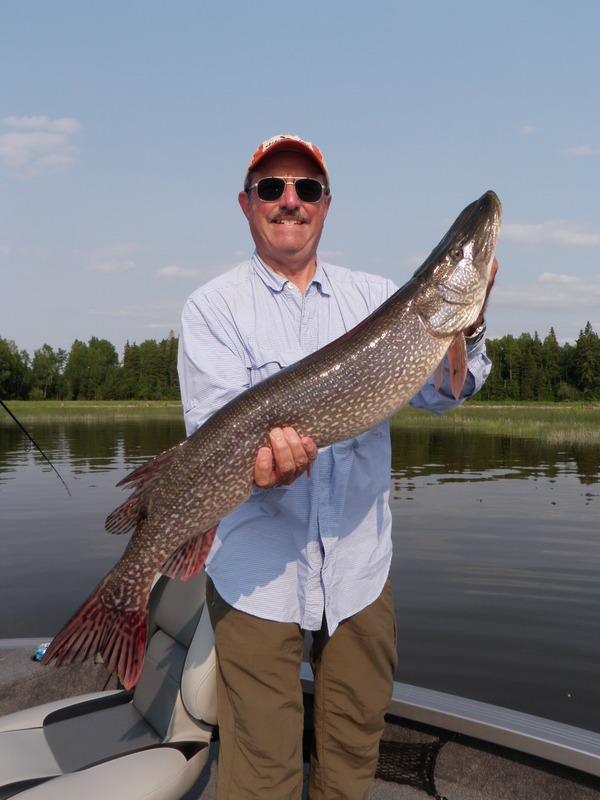 Deeper water, main lake sand, and rock produced fewer and fewer fish as the sand flats and areas on the deep side of the weed beds heated up. 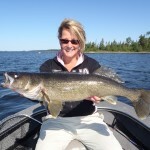 Most of our fish were caught between 10 and 15 feet this week. 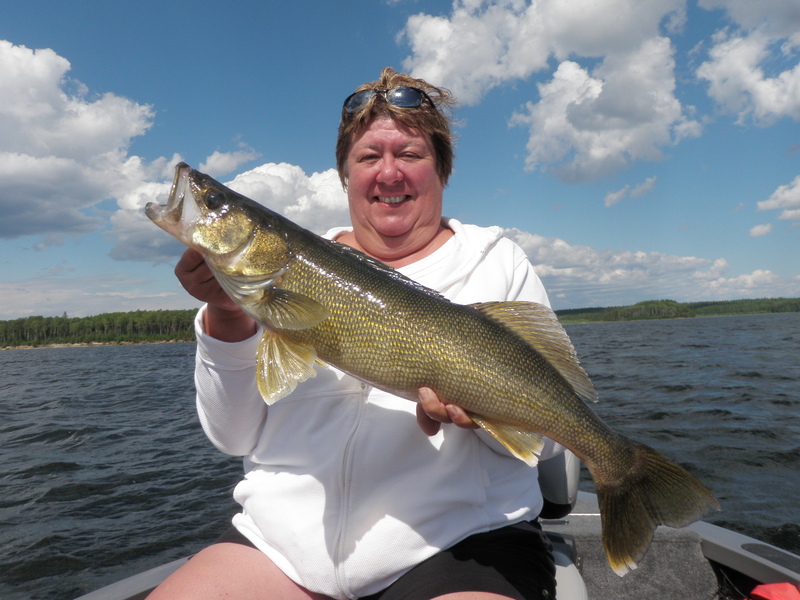 As the activity level tapered off in the afternoons, most groups shifted towards lighter jigs (1/4 and 1/8s) and minnows to put just a few more in the boat. One product that I have found that made a big difference for us this year is a beefed up jig for plastics. I found a jig designed for salt water at Bass Pro shops made by Offshore Angler. The jig features a stout hook with a long shank that works very well with the big plastics. 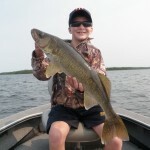 Even though the hook is much heavier than a standard jig hook, it is still very sharp. We have been using mostly 3/8 so far this year, but it won’t be long before we try out the 1/2s as well. 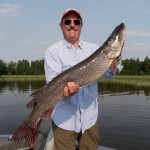 The sunny and warm conditions along with the maturing of the weed beds also triggered a very good big pike bite for anglers who spent some time chasing them this week. 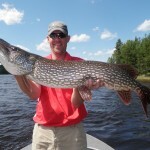 Spoons, spinnerbaits, and big in line spinners produced best in and around the weed beds. For the week, we had 13 over 37 in., including 4 – 40s, 2 – 41s, and 1 – 42. 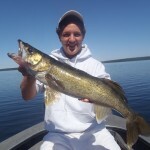 The bass bite faded towards the end of the week and I expect the season will be effectively over by the end of this week. For the week we had 42 over 18 in., with 6 – 19s and 2 – 20s. 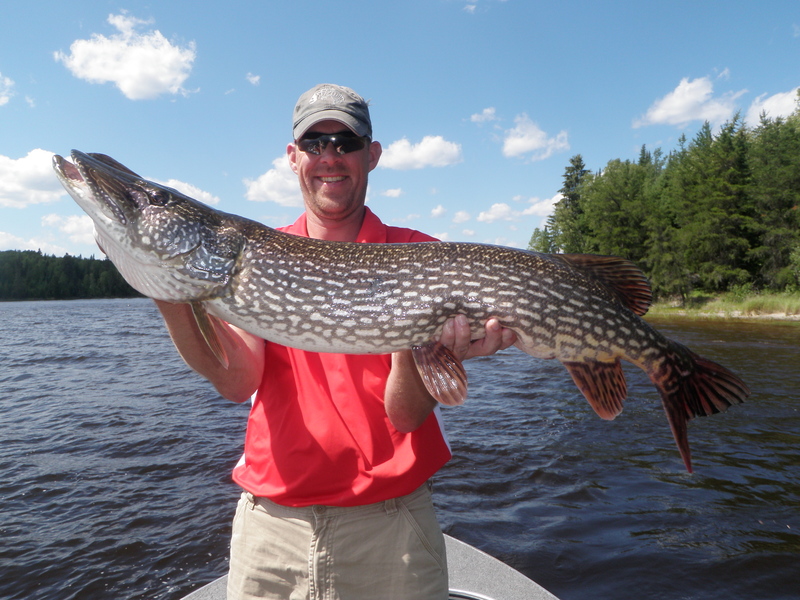 Most of those fish were caught in the first half of the week. 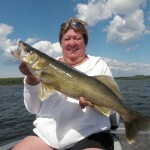 Overall, it was great weather, awesome fishing, and an excellent week to be on Lac Seul.